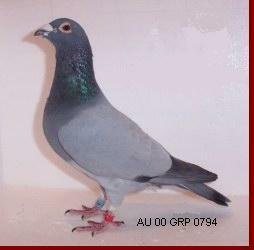 The Barless FAMILY"The Silver Barless Barons"
My silver barless (what some call spread ash or lavender), descend from my Black Eagle/Silvre Toye foundation pair and a silver barless Stichelbaut hen that was a 300 mile race winner (Silver Crystal). 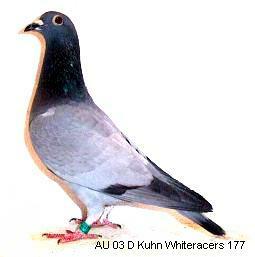 Silver Crystal's sire was a 200M Twin Cities Combine winner himself as a YB agianst over 1,500 birds. 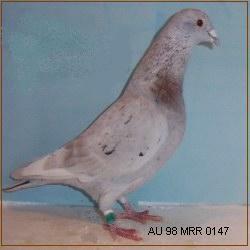 Through my selective breeding/testing the birds racing, I feel that the "Barless Barons" can be just as competitive as my "Whiteracer" and "Black Knight" families. My silver barless styarted making an impact in 2001' as you can see the "Silver Bullet" and "Minnesota Silver" abbreviated racing record. 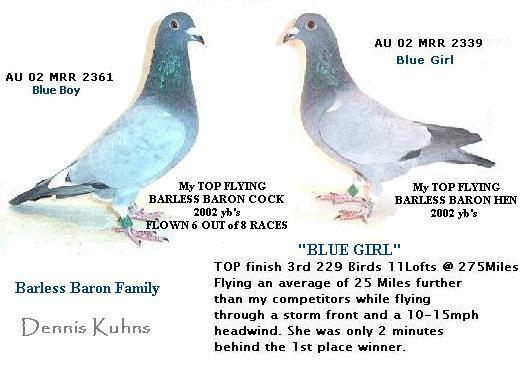 "Background on the Barless Barons"
My blue barless birds are a family of racing pigeons that are long distance based and made up of numerous crosses, with perfomamce and color being the primary goal in the breeding loft. They derive from three different sources and are down from racing quality stock. They have had some of the top lines like Vanhee from Roger Mortvedt, Super 73 Van Loon & Devreindt from Cambell Strange, as well as my Antheiren Janssens (in my opinion one of the best line of Janssen blood around) crossed into them. 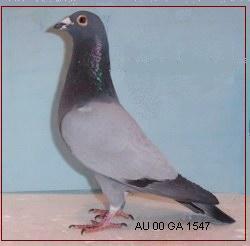 The blue barless tend to be more of a longer distance type pigeon, however they do have race winners from 150-300 miles in the pedigrees. 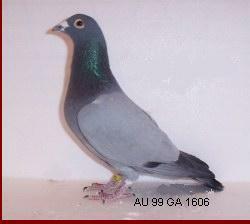 They have scored for me in a couple of local one loft races and in 2007', one of my Barless Blue breeders took Champion Eyesign down in Hutchinson Kansas verse over 150 birds in the class. 1st @ 300 miles as a YB. Her sire was 1st combine 200 miles as a YB as well. 25th @ 200M. "Baron King"
handling barless in the loft. 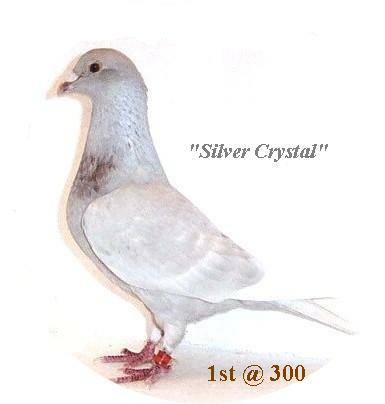 Dam (Silver Crystal) was 1st 300M. 1/2 brother to 450 mile DAY BIRD in a tough New York Futurity race. 3rd 500 Miles,3rd 500 Miles,25th 200 Miles. 1st 500 Miles, 2nd 500 Miles. 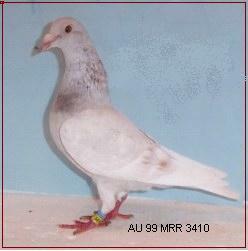 AU 2002 MRR 2345 BRLS "Shadow"
2345 is a multiple diploma winner that is currently on my race team and has raced out to 450M.